Octopamine is an ingredient making its way into a growing number of nonprescription weight loss pills. As bitter orange and synephrine build negative reputations as more and more people learn about the dangers of using those substances, octopamine has made its way into the spotlight. 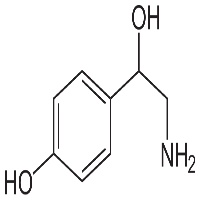 That said, octopamine is a metabolite of synephrine. 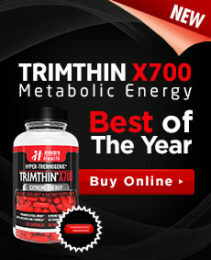 It is a stimulant that is associated with minor fat burning effects. That said, it’s important to note that it has been banned by WADA due to the way its stimulant properties function. This means that it cannot be used by competitive athletes. Moreover, as this ingredient is essentially untested in humans, the fat burning claims made by diet pills using this substance may not be trustworthy. Octopamine may be sourced from many different natural substances. It was originally discovered in 1940 in the octopus salivary gland. That said, this is not typically one of the most common sources for this ingredient when it comes to diet pills. It does, however, explain how this ingredient got its name. This ingredient is commonly found in invertebrates. However, the most common sources of this ingredient in diet pills is from bitter orange or bitter melon. Limited research has been conducted on octopamine with respect to weight loss. Though virtually untested on humans, it has been used in rat and other animal studies. It has been observed to inhibit glucose uptake. The result of this process may be that there is increased reduced lipogenesis, which means that fat storage is decreased. That said, precisely how this works or if it is enough to be beneficial to a dieter is unknown. Studies have also been conducted on octopamine’s impact on fat oxidation. These were conducted on fat cells taken from obese patients. These results were not tested on humans who took the ingredient as a supplement. Instead, the research occurred on cells extracted from a person. What was found was that the ingredient functioned in the body in a way that boosted fat oxidation in a limited way. It is not known whether or not this effect was strong enough to result in weight loss. It is impossible to know whether or not this substance is effective, helpful or even safe to use until far more human studies take place. Until then, because of the nature of this ingredient and the substances from which it is extracted, it is very important to speak with a doctor before using any product that contains octopamine.